Dine With Us! Join Houston Food Finder At Rainbow Lodge For Houston Restaurant Weeks! It’s been several months since we’ve hosted a Houston Food Finder reader dinner, so what better time than during Houston Restaurant Weeks? Support a good cause and join us at our sponsor Rainbow Lodge located at 2011 Ella for a $45 dinner (plus tax, tip and gratuity) on Thursday, August 10 at 7 p.m.
How to reserve: you must call Rainbow Lodge at (713) 861-8666 and secure your spot with a credit card. Mention that you are reserving for the Houston Food Finder reader dinner. We only have 20 spots available—first come, first served! Our combined attendance will generate a $140 donation to the Houston Food Bank. From there, the Houston Food Bank will somehow work their magic and provide 420 meals to Houstonians who are going through a hard time right now. The Tied Fly Bar is just one of the gorgeous features at Rainbow Lodge. 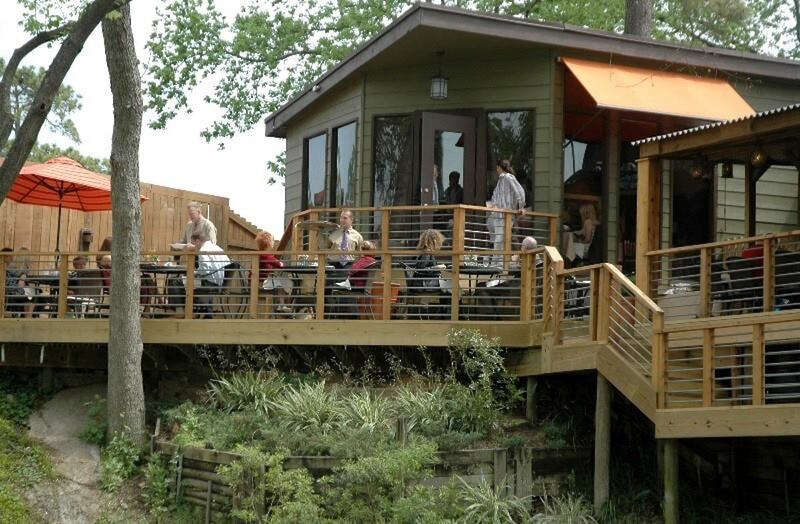 It overlooks the wine deck and scenic banks of White Oak Bayou. Photo courtesy of Rainbow Lodge. Rainbow Lodge, housed in a huge log cabin, has long been known as one of Houston’s most beautiful restaurants. It is the setting of many romantic dates, not to mention weddings and receptions held on the expansive, impeccably landscaped grounds. If you enjoy wine and want to add i to your meal, Rainbow Lodge has plenty of options, including rosé. Photo by Marc Borel. 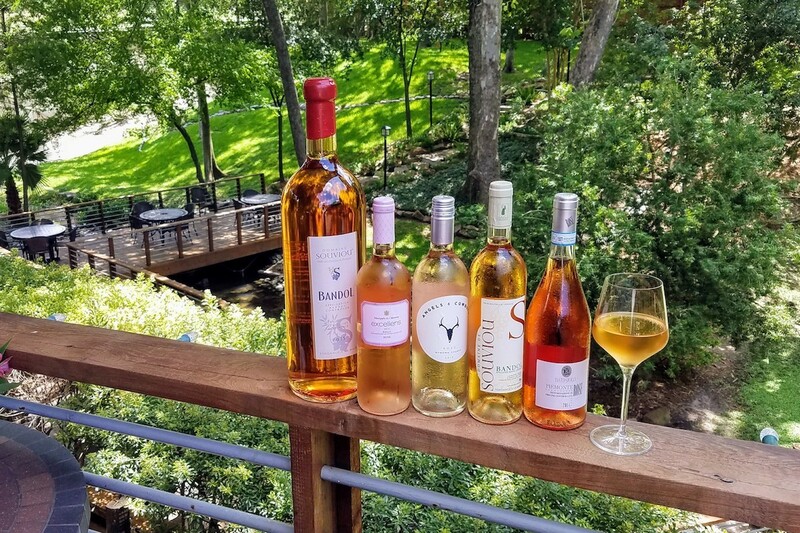 Beverages are not included, but wine lovers should rest assured that longtime sommelier and Rainbow Lodge beverage director Marc Borel and his staff will be able to guide us to some great and reasonably priced selections. We look forward to dining with our readers at one of Houston’s best restaurants! I have tickets to a show that night or I would be there! Sounds amazing!! !